2017 CMA Fest Carrie Underwood Fan Club Party Announced! 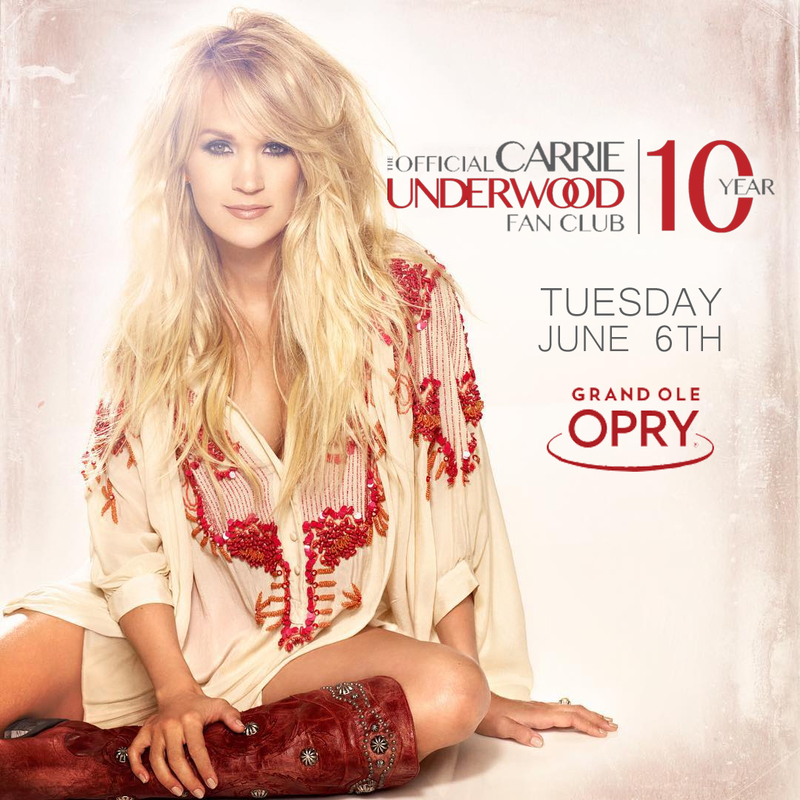 Carrie Underwood has announced that her 2017 Fan Club Party will be held at the Grand Ole Opry on Tuesday, June 6th! This party is for fan club members only! You can join here for $24.99. Joining does not guarantee entry, but allows you to enter to win an invitation to the event. 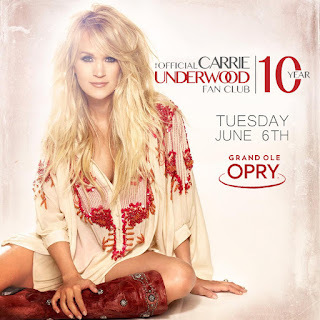 To enter for a chance to attend you must log in to carrieunderwood.fm, go to the Fan Club Party Event Page, and click "Enter Now" under CONTESTS to enter to win an invitation to the party!